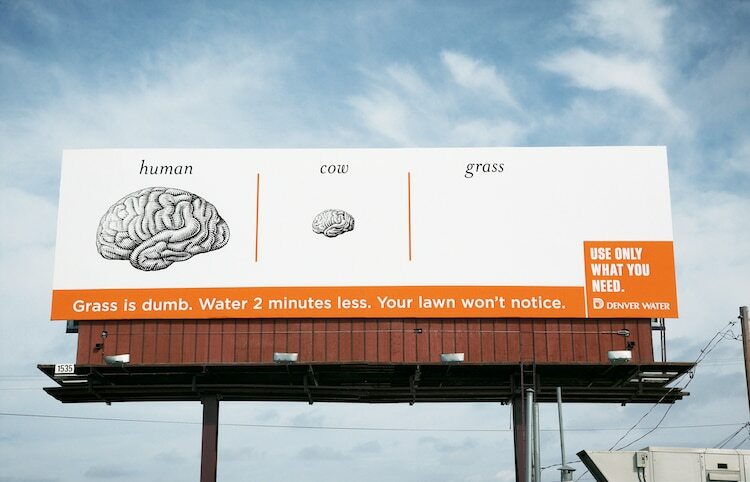 How do you encourage people to use less water? 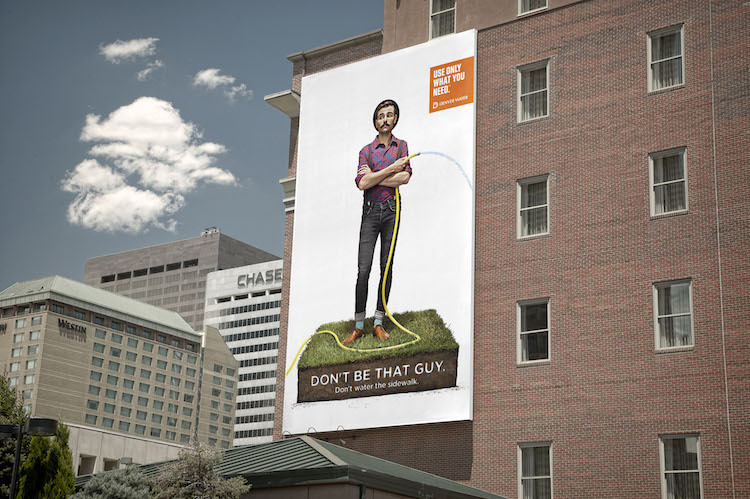 This was a quandary that Denver Water hired the creative agency Sukle to help solve. 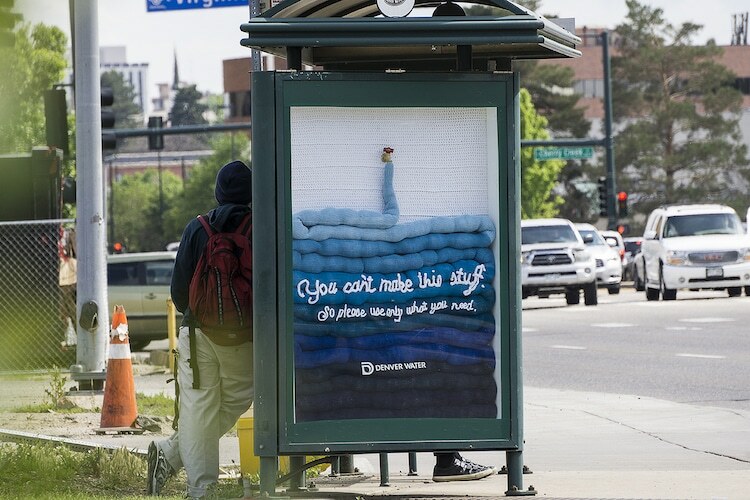 For over a decade, they came up with clever advertising campaigns that inspired the citizens of Mile High City to be mindful of the amount of water they use. 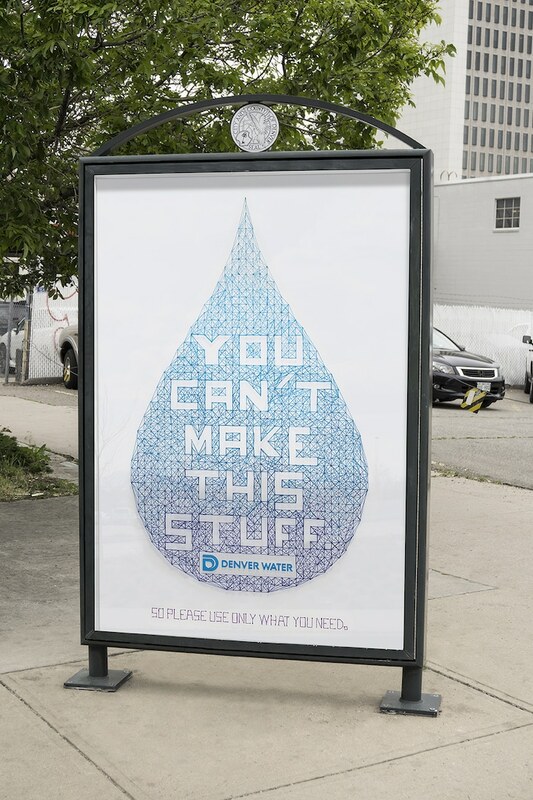 At the start of their campaign, they had a ten-year goal of reducing water consumption by 22%. 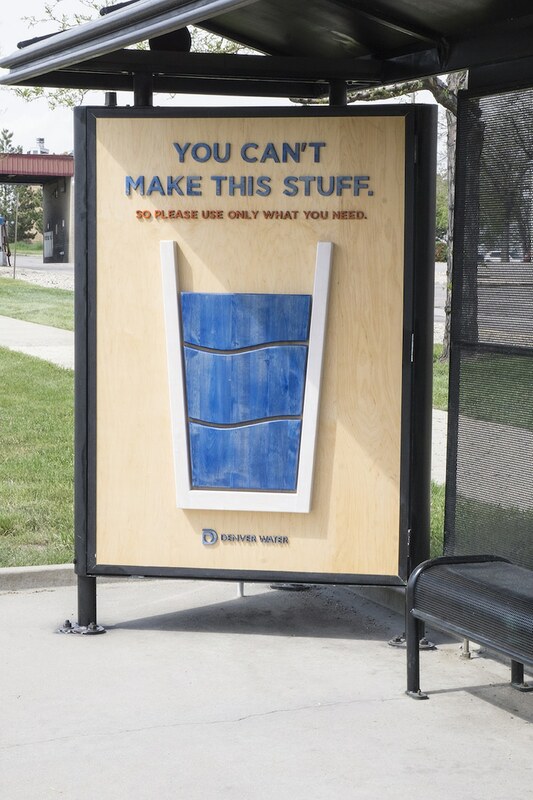 After the first year, water reduction was already down by 21% thanks to their creative solutions. Before designing anything, Sukle conducted research and determined their initial target audience—eco-conscious people. Once they knew that, they spent time understanding this group of people. “We uncovered their sensitivity to the concept of waste,” Sukle wrote. 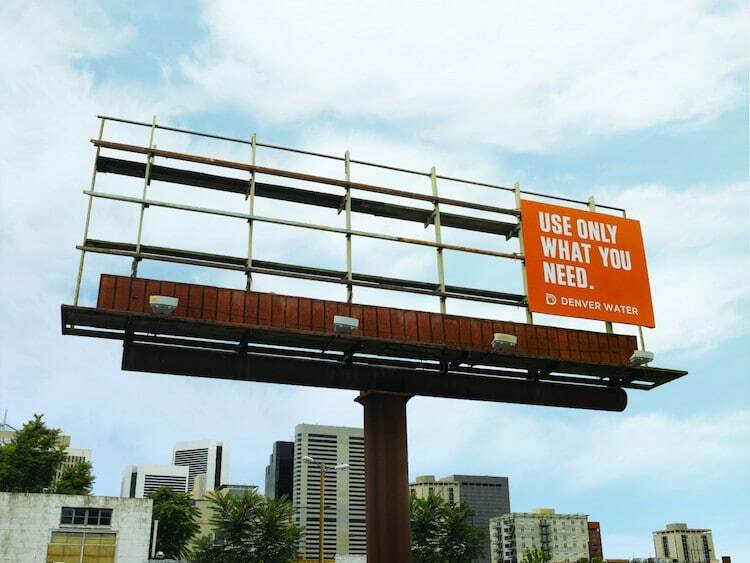 “That helped inform the campaign message: Use Only What You Need. 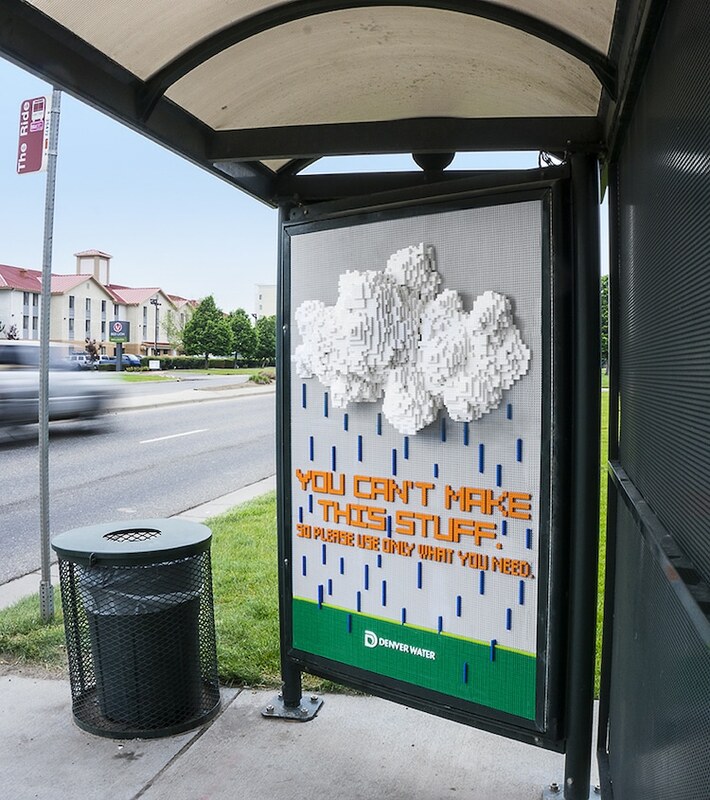 It didn’t feel like a sacrifice.” They continued to refine their ideas by executions like, (“You Can’t Make This Stuff”) intended to remind consumers that even when it’s raining a lot, it’s still vital to practice water conservation. 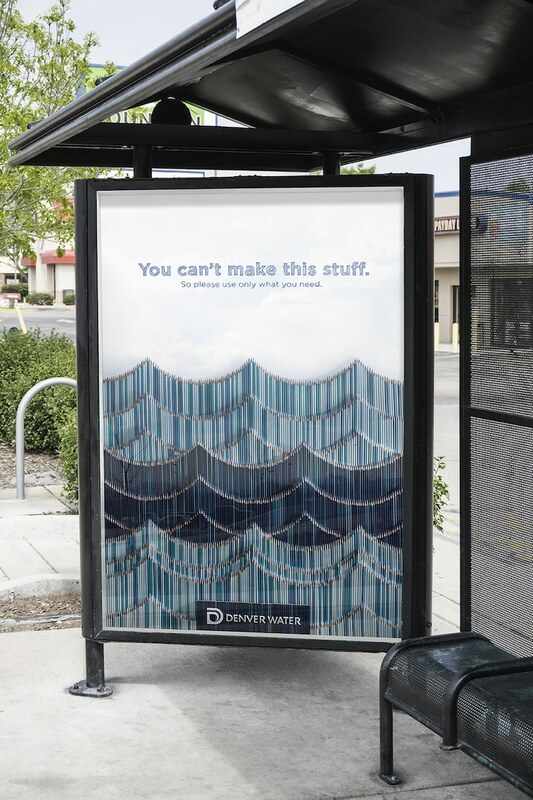 You Can’t Make This Stuff occupied bus shelters throughout Denver to make their point. 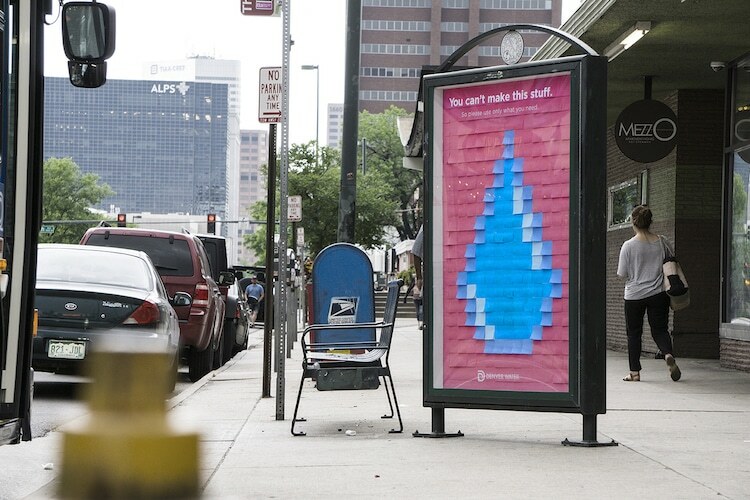 To do it, they created the city’s first urban art show featuring water drops made out of LEGOS, Blue Model Magic clay, and string—among other materials—to engage people with compelling visuals that carry a strong and important message. For more of Sukle’s ingenious advertising, scroll below. 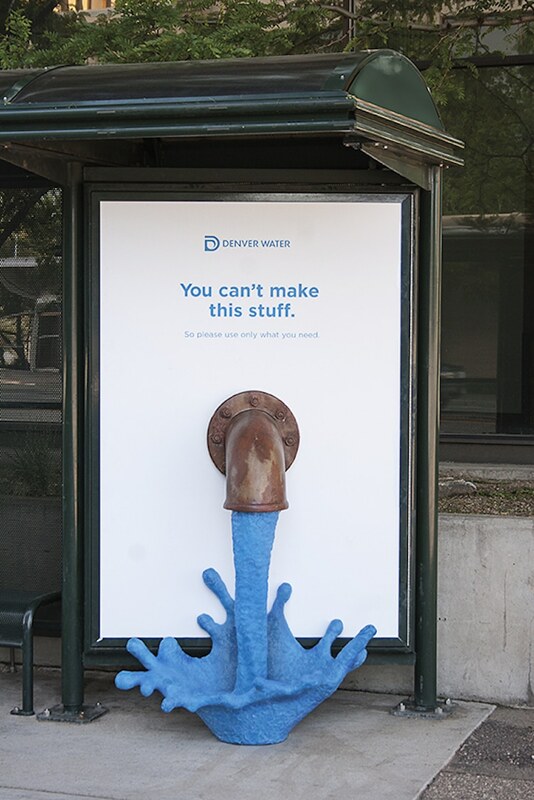 For over a decade, creative agency Sukle worked with Denver Water to create clever advertising campaigns encouraging people to conserve water. 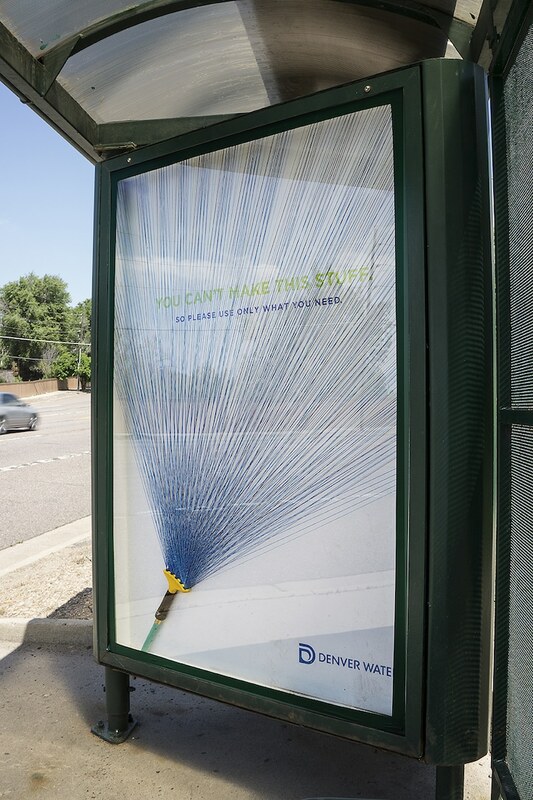 Some were clever, while others delivered eye-catching visuals you’d definitely notice while walking down the street. My Modern Met granted permission to use photos by Sukle. 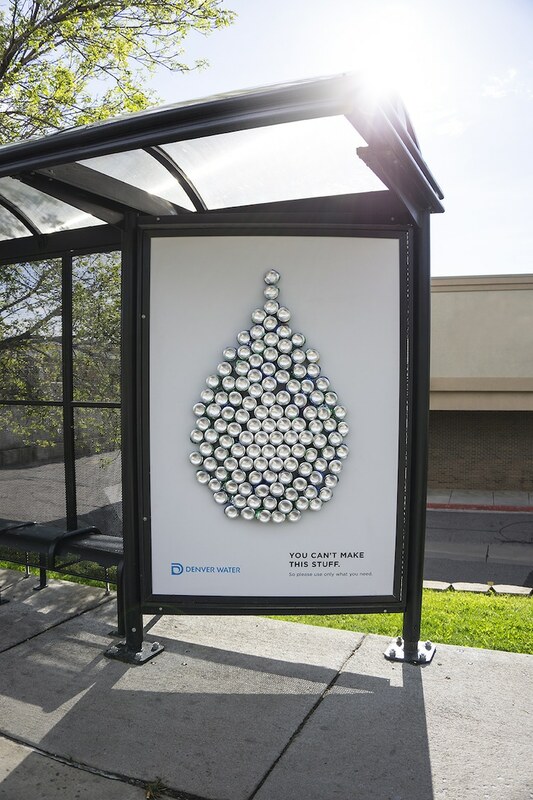 The post Creative Billboards Cleverly Encourage People to Use Less Water appeared first on My Modern Met.